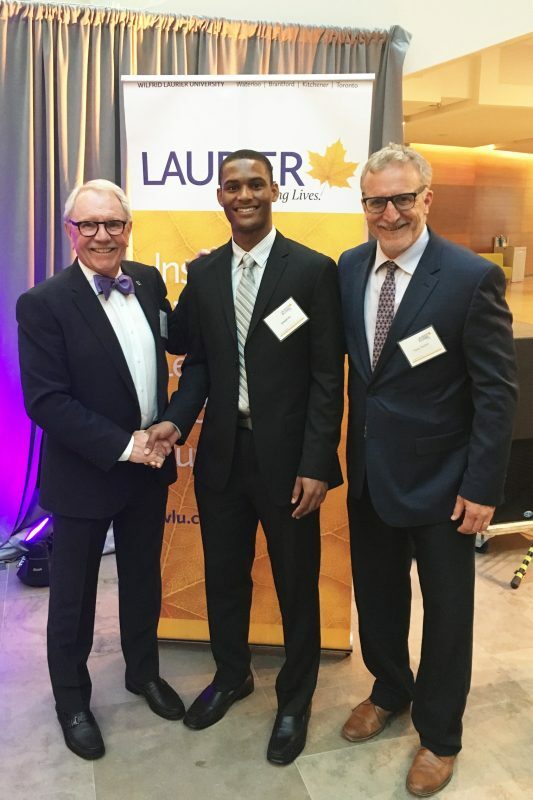 Earlier in June, Wilfrid Laurier University held its Laurier Society celebration which is an event hosted by Development and Alumni Relations. The event is in place to honour and recognize the school’s most generous donors. Having recognized Peter Ansley, an alumnus, with the 2018 Laurier Philanthropy Award, there was the award in his name, the Peter C. Ansley Basketball Award in support of the athletes on the varsity men’s basketball team. In its fourth year of existence, the 2018 scholarship award was presented to Joseph Fo, third-year men’s basketball guard. A veteran player on coach Serresse’s up and coming Golden Hawks squad, Fo not only has proven to be one of the harder workers on the floor but also in the classroom, a testament to his effort considering how much it takes for student athletes to be great students as well. “Coming into this past school year, I was working towards a scholarship. It was a generous gift that [Peter Ansley] provided. It motivated me throughout the year to push through fatigue and distraction. There were times when I’d be really tired but I would still make my way to the library to study a few hours longer and to get assignments done earlier before I go on road trips and such. So, this gift was a real honour and it was very motivating for me,” Fo said. Besides winning the award which comes with praise, Coach Serresse has also lauded him, mentioning that Fo will be one of the captains of the team for the 2018 season. Most people mistake what it is to be a captain of a team. A captain in essence is a leader and someone who those around them listen to and respect. It’s the person everyone looks at as an example. “What coach Serresse was talking about, being a leader, it’s setting an example for my teammates that they too can be successful on the court and in the classroom. So, a lot of my teammates, we go to the library and study together,” Fo said. With the rise of the basketball program, many have had rising expectations of what the team will do for next year but Fo has his sights set on other things as well. With all eyes on the court for the Golden Hawks in 2018, we can’t forget that these student-athletes have more to achieve than what only comes with the round orange ball. They are students with the same if not higher expectations to do well and humans like us to strive to accomplish more than one thing.